1 . The Goal by Elle Kennedy – Book #4 in the Off Campus series is out NOW and if I haven’t already started this by the time this post is up, then I need to slap myself because DAMN I AM HOOKED ON THIS SERIES. I’m also pretty sure this is the last book in the series, which makes me sad, but as my first foray into New Adult: I approve. 2. Water’s Wrath by Elise Kova – I have been reading this since it pretty much came out and I just keep PUTTING IT DOWN because new books come out and my interests change and then I’ve been in a rut AND I NEED TO FINISH IT. I love this series so much, and I need to know what happens next. Speaking of which…. 3. Crystal Crowned by Elise Kova – This is the last book in the series and I obviously can’t read this one until I read the one before it (see above). I’ve heard good things about the ending and so I really just want to see what happens and how everything comes together. 4. P.S. I Like You by Kasie West – I started reading this before my husband and I moved and I just put it down and haven’t picked it back up, but it’s SO cute so far and I’m really enjoying it, so I just need to finish it. I’m pretty sure I’d finish quick, too, because it reads really fast. 5. Style by Chelsea M. Cameron – This F/F story also reads fast and I like that the two voices of the two main characters are both different! I don’t think I’ve ever read a lesbian love story in novel form before (manga, yes), and I’ve enjoyed what I’ve read so far, just, again, I pick things up and put them down. 6. Harry Potter and the Goblet of Fire by J.K. Rowling – Honestly, this TBR is just the books I’m ASHAMED of having started and NOT having finished. Like, seriously, what is wrong with me? I’m pretty sure I started this book two years ago, so I just need to finish already. And it’s not like I’m not enjoying it, because I am! I think the size is just intimidating me. 7. The Beauty of Darkness by Mary E. Pearson – The third and final installment of another favorite trilogy of mine and I still haven’t finished it!? Ugh. I actually barely got through it because, like last year, I just wasn’t feeling it at the time I was reading it. It’s not that I don’t want to read it and see how everything comes to a close, I just wasn’t in the mood to read it at the time. 8. A Torch Agains the Night by Sabaa Tahir – I’m very excited and happy to read this sequel because they told us we weren’t getting one last year, but the reader hype was so real and now? WE HAVE THAT SEQUEL. I am very excited to see what happens next as I haven’t been spoiled by anything anywhere yet (yay! ), so I hope to start this sooner rather than later. 10. Moon Called by Patricia Briggs – Another adult urban fantasy book that I’m interested in but I just need to finish reading. I started it but didn’t get far because, again, I just wasn’t in the mood to read it at the time. But so far it’s interesting, just a little info dumpy, but I think that kind of happens with the first books in adult urban fantasies, as far as I’ve noticed. So there you have it, my list of SHAME. Honestly, I just want to finish these books so I stop feeling guilty that I haven’t yet. And also because I HAVE BEEN enjoying them, I just… you know.. stopped reading them. What top three books are on your TBR for fall? Do you have a long list of SHAME books like me, or are you more hopeful for recent releases? Tell me all the things! Hey peeps! I’m here with a fun tag post today that was originally created by Novels&Nonsense on YouTube. This seemed like the perfect time of year for this tag, so here we go! 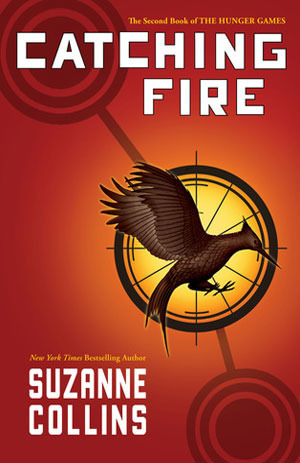 For this one I’m picking Catching Fire by Suzanne Collins. This book has a lovely cover, and really it’s my favorite cover of the trilogy. 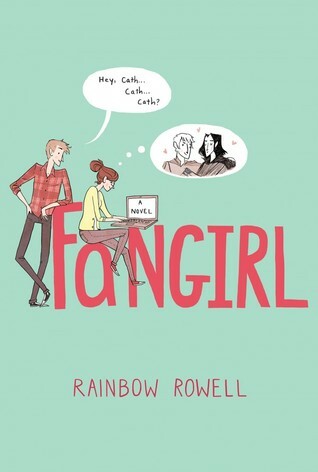 Fangirl by Rainbow Rowell gives me the warm fuzzies. I love pretty much everything about this book: from the relationships to the struggles of a college student. Any and all fantasy. I love the worlds that I can transport to when I read and I just enjoy being able to explore those places I’ve never been in my imagination. Or something that I know has a lot of cute romance in it. Why not both? – Cool Crisp Air: What’s the coolest character you’d want to trade places with? Uhhh… I don’t know. What defines cool? I feel like I read mostly hyped books, but I think I’ll choose None of the Above by I.W. Gregorio. 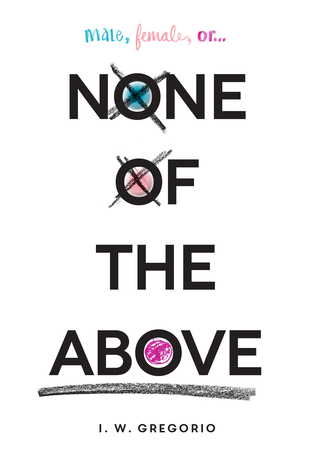 This book deals with an issue I’ve never heard of, and so I think it’s a good one for others to learn more about what it’s like to be intersex. None? I’m not really ashamed of any of the books I own, so… yeah. Love for all book covers! – Pumpkin Spice: What’s your favorite Fall time comforts food/foods? I can always go for some chocolate. Hot chocolate on a cool, brisk day? The best. – Warm, Cozy Bonfire: Spread the cozy warmth – Who do you tag? I tag anyone who wants to do this! I saw it around last year, but it’s always fun to do it again.